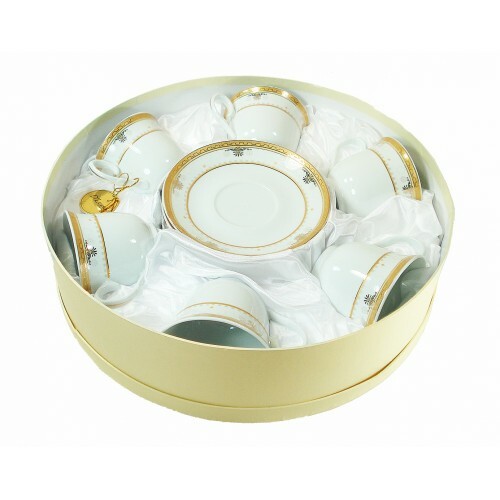 Experience Coffee in style with this D'Lusso Designs 12 piece Coffee ensemble….service for six. Displayed in a fabulous rose print embossed hat box, this gift is far and beyond extraordinary. Each cup hold 5 ounces. Delicately shaped coffee cups for a perfectly extravagant gift. Each cup is 3 inches tall and 3.5 inches wide.